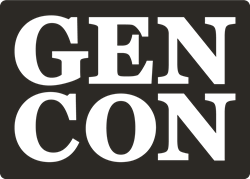 Gen Con, the largest and longest-running game convention in North America, has announced that its 2018 convention is the most attended ever. “By any metric, Gen Con 2018 was an enormous success,” said David Hoppe, Gen Con President. Gen Con, the largest and longest-running game convention in North America, has announced that its 2018 convention is the most attended ever, propelled by a record number of 4-Day badge sales, a 16% year-over-year increase in Saturday badge holders, and astounding 60% jump in year-over-year growth for both Sunday badge holders and children attending with wristbands. Beyond attendance records, Gen Con also set philanthropic high marks in 2018, raising more than $50,000 for its charity partners, The Jack Vasel Memorial Fund and Second Helpings, through multiple on-site events. Since moving to Indy in 2003, Gen Con has now raised more than $300,000 for its charity partners. In a year of firsts, Gen Con launched convention-long streaming of events on Twitch, the online gaming network, netting more than 300,000 unique viewers of its programming with more than three million minutes of watched footage. The convention also successfully released a successful beta test of its on-site electronic event ticketing system, supporting nearly 10,000 transactions with the intention of expanding that service in future conventions. Gen Con’s Block Party debuted in 2018, expanding Gen Con’s outdoor, free, unbadged experience spanning Georgia Street, on to South Street, and with placements around the Indianapolis downtown. The 2018 Block Party included 65+ food trucks, two Sun King Beer Gardens, Hot Box Pizza stands, an activation from the Indianapolis Public Library, and a free concert with the bands Local H and Brother O’ Brother. This year’s convention featured more than 520 game companies, more than 600 new games, 17,000 ticketed events, and a significant increase in programming in Lucas Oil Stadium. The convention plans to continue its development of Lucas Oil Stadium as a new hub of convention growth. Gen Con will return to Indianapolis August 1-4, 2019.